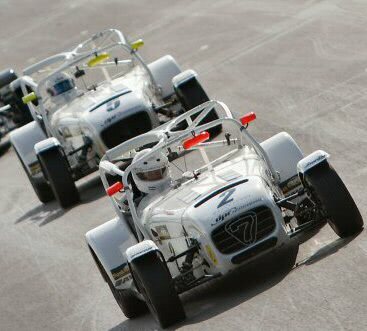 Caterham Championship 2011: Top team results following Zandvoort. DPR customers lead in Supersport, Roadsport and Academy. DPR moved back into joint lead of the Superlight R300 team championship following top results at Zandvoort. DPR driver James Maclachlan gained two second place finishes at Zandvoort ably supported by Mark Shaw (5th & 4th) and Jonathan Packer (4th & 9th). DPR customers Jeremy Webb, Wesley Fox, Elliott Norris and Andrew Welch lead in the Supersport, Roadsport and Academy championships. Jamie Orton led the way in both races leaving the on-track battle for second place to Paul Wilson & James Maclachlan. Both drivers swapped places with no opportunity given to allow a break. So close was the racing between these two that the timing results for the second race showed both drivers with identical times requiring the meeting’s judges of fact to make the final call. DPR & Fauldsport lead the team championship with 340 points each, 4 points ahead of third placed SPY. Wesley Fox strengthened his hold on the Roadsport championship with a 1st and 2nd at Zandvoort giving him a 34 point lead over second placed Kurt Brady. Aaron Head showed his potential once again with a second Roadsport win to his credit, following on from his stunning wet pace at Brands. Jeremy Webb leads the Supersport championship by 26 points from second placed Lee Wiggins. The two group leaders Elliott Norris and Andrew Welch have championship leads of 13 points over their second placed rivals. In the two races at Brands and Rockingham, Andrew Welch achieved both 1st overall and fastest lap gaining him two 26 point maximums. DPR Team Principal David Rowe said “We are pleased with our Superlight team results but these reflect the race outcomes for a relatively small number of drivers. 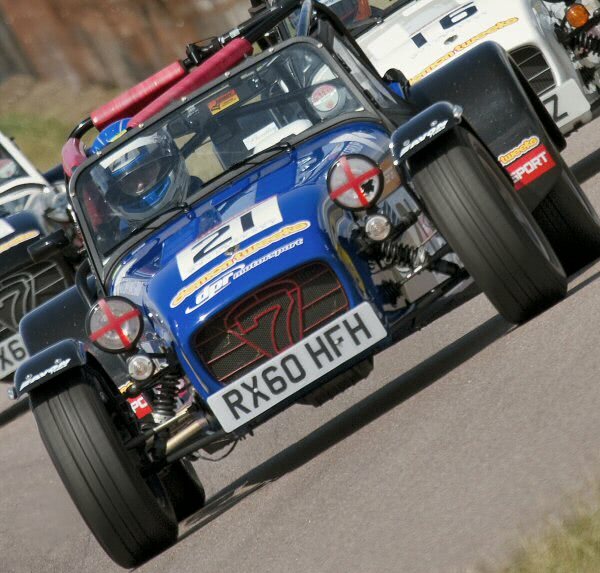 However, we also provide workshop based service and set-ups to a much larger number of competitors racing across all steps of the Caterham Motorsport Ladder.